HONG KONG--(BUSINESS WIRE)--Vistra, a leading global trust, fund administration and corporate services provider, today announced the appointment of Alan Brown as Group Chief Executive Officer (CEO) and Geoff Weir as Group Chief Financial Officer (CFO). Alan and Geoff will join Vistra in April. Based in Vistra’s headquarters in Hong Kong, both Alan and Geoff will also join the company’s Board. Their appointments are subject to regulatory approval. Simon Hinshelwood, who has been leading the business as the Executive Chairman, will resume his Non-Executive Chairman role on the Board. Alan has extensive experience in leading global organisations, in particular, businesses going through significant transformations. He has worked across a number of industries and has lived and worked in the UK, Europe, and Asia – with particularly strong China experience. He was most recently CEO of ASCO Group – an Aberdeen, Scotland headquartered global oil and gas services company. 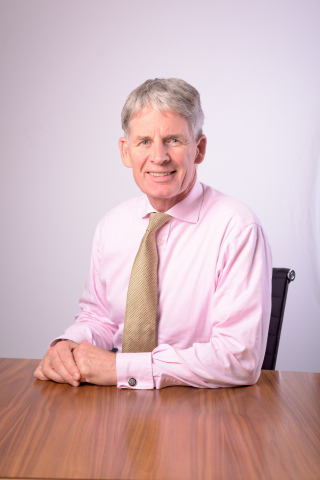 Prior to this, Alan held the CEO position at Rentokil Initial and was CFO at Imperial Chemical Industries (which was acquired by Akzo Nobel in 2007), and spent 25 years at Unilever in various roles in the UK and Europe, before heading up Unilever’s operations in China and Taiwan. Geoff has held a number of group CFO roles with global companies, including Scotts Philips Associates, Exridge, Digicel, and most recently Sinar Mas in Indonesia. He has extensive experience across strategy, planning, operations, M&A, compliance, and risk management in multiple sectors. He is passionate about delivering results and has had great success in driving change, accelerating growth and delivering value in complex multinational businesses. Ranked in the top three corporate service providers globally, Vistra is a versatile group of professionals, providing a uniquely broad range of services and solutions. Our capabilities span across company formations to trust, fiduciary, private client services, and fund administration. Vistra employs over 4,300 employees across 46 jurisdictions. For more information, please visit www.vistra.com.